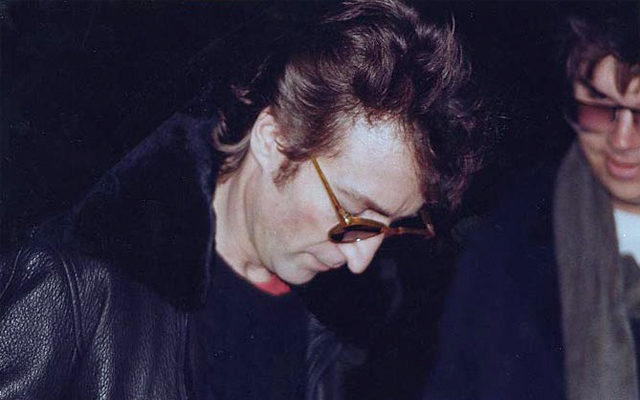 On this Podcast we cover the life and death of one of the most influential cultural figures of the 20th century in the assassination of John Lennon. A man, by his own admission, was at one stage bigger than Jesus. Through his world changing musical career with the Beatles and the Plastic Ono band to his tireless dedication to the role of activist with wife and artistic partner Yoko. It was this cause to end the Vietnam war, oust political corruption and expose the conspiracies that afflicted society that put him so at odds with the regimes, and war machines of his time, We’ll look at the life of the quite possibly the greatest modern songwriter and activist. With the death of John came numerous theories of foul play and accusations cast furiously by a grieving public. Some say Yoko Ono was a CIA handler, Others point at doorman Jose Perdomo, Others still suggest that a replacement Paul McCartney was in on the hit. Some, Gordon Lightfoot, even point the finger at literary legend Stephen King as the real shooter, citing hidden messages in popular print media. But it’s the life of convicted killer Mark David Chapman that confounds most theorists. From his dalliance with Vanderbilt man John Hinckley through charity organization World Vision to his globe trotting antics so similar to those of Lee Harvey Oswald. His connections and cross-sections with typical MK Ultra signposts add up to an alarming and suspicious man and we’ll cover every step of his journey from the Lebanon to Hawaii and round the world again before his fateful stop in New York in 1980. We’ll also look at the who and why of this story. The Johnson and Nixon administrations who felt the public pressure created by activists and a new younger voter population. The military industrial complex whose financial control was being tested by protests of peace and threats to curtail the military. The religious right who for so long had a vitriolic dislike of John and everything he stood for. And finally the powers behind the Vietnam War that had everything to lose in the face of the peace, love and freedom movement backed heavily by Lennon. The leaked documents that confirm the CIA and FBI had extensive efforts to deport, discredit and disable the life and works of John. And we’ll cover all the forensic evidence and witness reports from police, Yoko, MDC and even James Taylor at the core of the assassination of John Lennon that ended the revolution and changed the world as we know it.